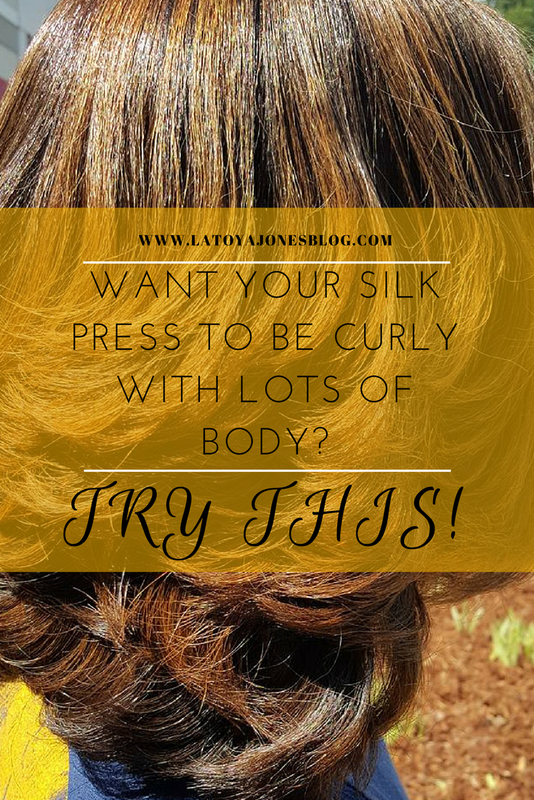 Want Your Silk Press To Be Curly & Have Lots Of Body? Try This! 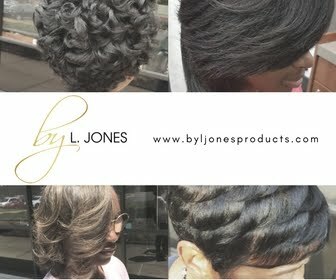 Most of my natural clients have so much hair that it is absolutely ridiculous and this client is no exception. Don't get me wrong, I think that thick hair produces some of the best looking styles but my goodness it takes a lot of hard work to get those styles! 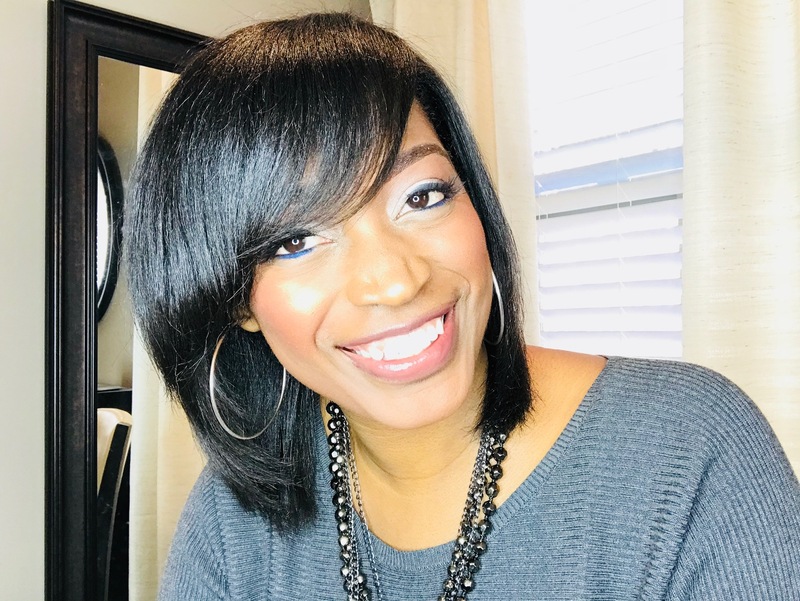 This particular client normally gets a straight look because because we are currently in the process of growing her hair back out from a bob and having it straight gives us a better guide on how long it has gotten. Every now and then we curl it just to try something different and today was one of those days. She does not have a relaxer so she gets a silk press so that she can have that relaxed look. When natural clients want to have curls a lot of them can not simply get a roller set like their relaxed counterparts. 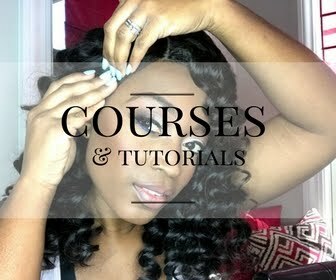 Instead I curl it with the flat iron and they have to maintain it at home to keep the curls. This picture was taken as I was about to blow dry it. This is what her hair looks like when it is soaking wet. I gave her a good shampoo and conditioner, then also applied Silk Hydration by L. Jones Leave In Conditioner to give an additional layer of moisture. 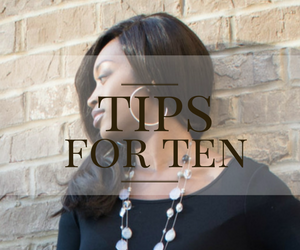 I finished blow drying the hair then began the silk press process using the Toi flat iron. I curled her hair with the flat iron to get the curls you see here. I really only curled the ends of the hair because she did not want it too curly but it appears to be curled all over because she has layers. To keep it curled she can use the flexi-rods to curl it at night. This client likes for it to fall through the week so she wraps it up nightly. She also sprays it with the Miracle Potion no9 maybe once or twice during the week to enhance the shine and control any frizz. This client normally shampoos her hair on a weekly basis so this style will last that long until she either shampoos it herself or comes back to the salon.